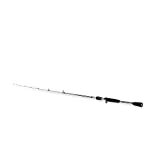 →How To Distinguish Casting Rods From Spinning Rods The Right Way? How To Distinguish Casting Rods From Spinning Rods The Right Way? Is there a difference between casting and spinning rods? Fishing rods come in many sizes and configurations. For a beginner, it’s a dizzying array of so many rods to choose from for small, medium or large fish in different freshwater or saltwater environments. Since fishing rods have many purposes, each with their own unique advantages and disadvantages, I will guide you on the two different types of rods and their uses, so you can utilize them to your best fishing advantage and know the exact uses between casting rods and spinning rods. 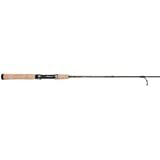 Two of the most common rods are casting rods and spinning rods. Both types of equipment primarily have the same task but are actually different from each other with their own unique uses in the water. There was a time when casting rods were sold separately as either spin-casting rods or bait casting rods but it was found out by anglers to have very minimal specifics since both rod designs can be used in heavier cover, so they are now just called casting-rods. Spinning rods meanwhile are primarily used for trolling and still fishing. Spinning rods typically have five to eight guides along the underside to control the line. When casting your bait, you flip the line cast over the reel to release it. Hold the line firmly around an inch or two against the rod with your index finger above the reel to pinch it in place. Pull the rod towards your side while flicking the tip towards your target and release your finger from the line to release the lure. 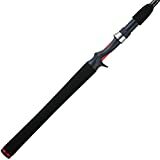 A casting rod generally has substantial power for every foot of rod and more skill is required to use it since it is used to catch bigger and heavier fish. The main components to casting are the rod, line and lure. You have to be sure that these three components are matched to each other since each of them must work together to make a cast and the reel is just a storage container for the line. You hold it with the reel facing upwards tow﻿﻿ards you. As the operator, you need to pull back the rod and flick forward over handedly to cast. With the rod snapping fully forward, release the line from the spool so that the weight and lure at the end of the line will unroll the reel and land the bait at your target. It has earned a reputation for durability and quality at an affordable price. The Ugly Stik Medium-Heavy is an improved version of the original with the same quality and dependability that Shakespeare rods are known for. You can surf fish or go offshore in whatever environment and the Ugly Stik Casting Rod is sure to deliver. 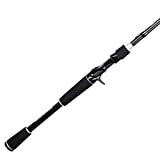 ​The Shimano FXS 2 Piece Spinning Rod meanwhile is probably the cheapest and most durable spinning rod you can buy with enough stiffness at its base and flexibility on its tip. You can use this for bait ﻿fishing and jigging, on freshwater or saltwater and this rod slings them out there beautifully at an unbelievably cheap price. These rods are all available for order online at Amazon and priced lower than other online offers. Spinning rods are great for lighter lures 1-4 ounces. Spinning rods are much easier to use and better for throwing light baits. Use casting gear for bigger fish and spinning gear for smaller fish. Casting rods usually have smaller guides and a collector (stripper) closer to the reel. The spinning reel casting rod combo may work fine but is not ideal unless you use a long rod and small spool reel. For any questions and additional queries, do drop me a line anytime on the comments section below. I’d be glad to help you out if you have any questions. Time to enjoy and use the best rod you need to use to get that prized catch!